Quality ingredients in calf milk replacer can have a huge influence in optimising the performance and growth rate of calves. Highly digestible ingredients of fat and proteins, with a broad range of trace minerals, vitamins, prebiotics and probiotics are of paramount importance to exploit the full genetic potential of the calf. Vitalac, manufactured by Nukamel, the original company who developed calf milk replacers in 1954, and marketed in Ireland by Agritech, put increased emphasis on how these quality ingredients are manufactured. Seamus O Slatarra, Technical Director at Agritech, “Milk Replacers are produced by two distinctly different processes namely spray cooling and spray drying. Nukamel’s patented spray cooling technology, give the benefits of improved fat digestibility, improved feed intake and improved solubility of the milk powder. A trial by Nukamel on calf performance to compare the two differing manufacturing methods at their research facility in Belgium to exclusively compare these two processes, showed a very significant 7.5kgs extra liveweight gain by the calves which were fed on the spray cooled product versus spray dried at 56 days old, consuming on average an extra 211 grams of concentrate per day. Agritech’s Sales Manager John Kenny concluded, “We are delighted to be able to confirm that the Spray Cooling Technology is contributing to calf performances in a significant way further enhancing the high quality of the ingredients in Vitalac Calf Milk Replacers”. 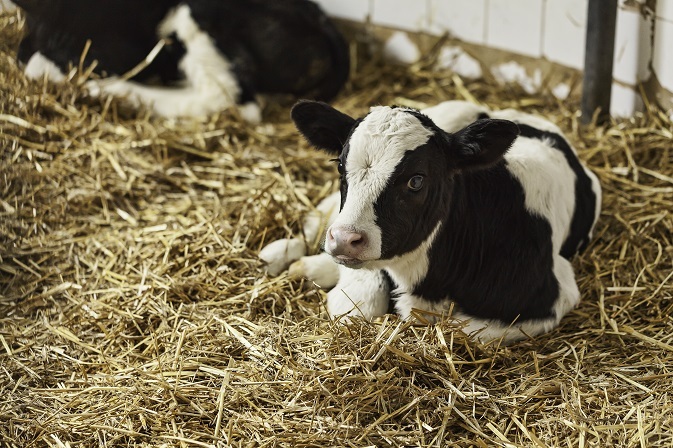 For further information on the Vitalac range of Calf Milk Replacers and general calf management tips, talk to your local distributor.To find your local distributor click here or go to the Vitalac page on our website.